Review. Holloway Jones. Neville Studio. Nottingham Playhouse. – East Midlands Theatre. Playing at the Nottingham Playhouse Neville studio until Saturday 12th August is Evan Placey’s teenage rite of passage play, Holloway Jones. The astute direction in this Nottingham Playhouse Summer School Youth Theatre production is by Nathan Powell. His cast achieve an impressive degree of attention and focus throughout the whole play. The seventy-five minute, one act show, has a smart multi functional set and costume design in grey, blue and orange created by Alice Smith and uses projection and some canny lighting effects (Will Welch and AV by Andy Bullett) as a vital and often exciting part of the presentation. The story of teen Holloway Jones navigating her way through a difficult upbringing is a compelling one and one that the young cast seem to be totally engaged in. The project behind this show has seen them working very hard to rehearse the play in only one week and tech it in three days. That is one big tough call and the Nottingham Playhouse Summer School Youth Theatre and the Playhouse creative staff and organisers do a splendid job that all should be justly proud of. It is a cast of twenty youngsters who mainly work as an ensemble and deliver Placey’s words, actions and sentiments well with some fine timing in the more poetic aspects of the text. Two young women play Holloway Jones at two separate stages of her life and both Jasmine Warder and Isabella Elliot bring across her bravura coupled with flashes of insecurity in the character. Cassie Hall as Holloway’s Mum in jail imbues her character with a great deal of credibility and her solid performance, thankfully, shies away from cliché. Jarrad Thurman as bad boy Avery also presents us with a believable character as he tries to seduce Holloway into his world of criminality. Holloway’s friend Gem (Alice Maylon) is given some fine touches of emotional truth by Maylon particularly in the final confrontations. The Policeman in the piece (Elliot Briffa) comes across as ineffectual in the direction which leads to some amused observations – intentional or not. Briffa’s portrayal demonstrates his comic potential in future roles. He is a natural. 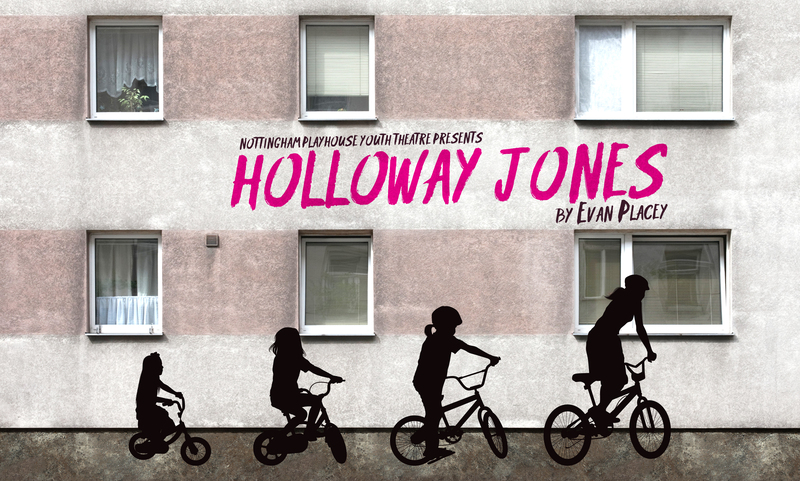 Overall, this impressive production of Holloway Jones reveals the budding young theatrical talents in Nottinghamshire and serves as a reminder of the great value of the arts in our society.